United Regional Health Care System was awarded an ‘A’ from The Leapfrog Group’s Fall 2018 Hospital Safety Grade. The designation recognizes United Regional’s efforts in protecting patients from harm and meeting the highest safety standards in the United States. The Leapfrog Group is a national organization committed to improving health care quality and safety for consumers and purchasers. The Safety Grade assigns an A, B, C, D or F grade to hospitals across the country based on their performance in preventing medical errors, infections and other harms among patients in their care. Founded in 1951, The Joint Commission seeks to continuously improve health care for the public, in collaboration with other stakeholders, by evaluating health care organizations and inspiring them to excel in providing safe and effective care of the highest quality and value. United Regional underwent a rigorous, week-long on-site survey in September 2016. We are proud to have again achieved a three-year accreditation status. Joint Commission accreditation means United Regional complies with the highest national standards for safety and quality of care and is committed to continually improving patient care. The American Heart Association (AHA) and American Stroke Association’s (ASA) “Get With The Guidelines” program helps ensure the care that hospitals provide to their patients with coronary artery disease, heart failure and stroke meets the latest evidence-based guidelines. United Regional has been recognized for our commitment and success in performance achievement using the Get With The Guidelines program for stroke and cardiac care. Stroke Honor Role by the American Heart Association and the American Stroke Association. This award recognizes hospitals for providing excellence in stroke care. 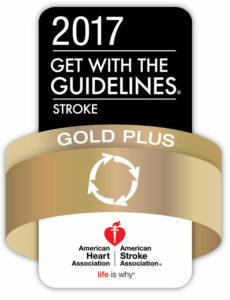 The Target: Stroke Honor Role refers to hospitals awarded the Gold Plus Award who, in addition to meeting the compliance measures, were able to demonstrate a door-to-needle time of less than 60 minutes in at least 50% of patients given tPA, the “clot-buster” medication that has been shown to reduce long term brain damage if given in a timely fashion to appropriate candidate patients. This means that patients with stroke, coronary heart disease and heart failure may come to United Regional with the confidence that the care they will receive exceeds the national guidelines for program quality. Stroke is the nation’s third leading cause of death and the leading cause of serious, long-term disability in the United States. Each year about 700,000 people experience a new or recurrent stroke. There are approximately 4.7 million stroke survivors alive today. United Regional is proud to have achieved the distinction as a Joint Commission Primary Stroke Center Certification. The Joint Commission’s Certificate of Distinction for Primary Stroke Centers recognizes centers that make exceptional efforts to foster better outcomes for stroke care. Achievement of certification signifies that the services we provide have the critical elements to achieve long-term success in improving outcomes. It is the best signal to our community that the quality care we provide is effectively managed to meet the unique and specialized needs of stroke patients. United Regional treats approximately 600 stroke patients annually and serves as the hub of the area’s Stroke Network. United Regional is recognized in Wichita Falls and the surrounding communities for providing advanced technology and high quality care. When it comes to injuries, United Regional serves as the primary trauma-receiving center for an area with a population of more than 220,000. We are honored to announce our verification of a Level II Trauma Facility from the American College of Surgeons, a graduation from designation as a Lead Level III Trauma Facility in 2003. Our Level II Trauma designation was re-verified in 2018. American Diabetes Association United Regional was awarded the American Diabetes Association Education Recognition Certificate for quality diabetes self-management education again in 2017. Recognition of our program assures that it meets the national standards and offers high quality education services for the patients we serve. Chronic lung disease (COPD) is the fourth leading cause of death in the U.S. and is projected to be the third leading cause of death for both males and females by the year 2020. COPD can dramatically impact an individual’s quality of life and is the only major disease with an increasing death rate, rising by 16%. In 2016, United Regional’s Pulmonary Rehabilitation Program is proud to have again received national re-certification from the American Association of Cardiovascular and Pulmonary Rehabilitation (AACVPR). This voluntary certification process recognizes programs that have been reviewed by the AACVPR national board and found to have met the rigorous requirements for standards of care. The program includes both education and exercise to help patients with chronic lung disease improve the quality of their everyday lives. 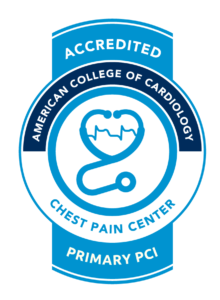 United Regional has received the American College of Cardiology accreditation as a Chest Pain Center with PCI and Heart Failure Program. The ACC awards accreditation to facilities that have achieved a higher level of expertise in dealing with patients who arrive with symptoms of heart attack or heart failure. Emphasis is placed on standardized diagnostic and treatment programs that provide more efficient and effective evaluation as well as more appropriate and rapid treatment of patients with heart failure, chest pain and other cardiac related symptoms. Not all radiologic equipment and the technicians who perform the procedures meet the high standards that United Regional’s radiology department has achieved. 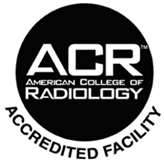 Our digital mammography unit, stereotactic biopsy unit, breast ultrasound, MRI, CT scanners, ultrasound and nuclear medicine are all are accredited by the American College of Radiology (ACR). Also, we have the only CT scan in the region certified by the ACR for pediatric scanning. The ACR awards accreditation to facilities for the achievement of high practice standard after a peer-review evaluation of the practice. Evaluations are conducted by board-certified physicians and medical physicists who are experts in the field. They assess qualifications of the personnel and the adequacy if facility equipment. The surveyors report their finding to the ACR’s Committee on Accreditation. Our digital mammography unit and our MRI are also ACR accredited through the state of Texas. Obesity is one of America’s most serious epidemics. Over 23 million Americans are morbidly obese, which means that they have a Body Mass Index (BMI) greater than 40, exceeding their ideal body weight by at least 100 pounds. According to the American Society for Metabolic and Bariatric Surgery, bariatric surgery is the most effective and long lasting treatment for morbid obesity and many related conditions. A variety of surgical procedures offer not only durable and safe control of weight but also provide previously unimaginable full remission of many of the co-morbidities, including diabetes, asthma, cardiopulmonary failure, infertility and stress incontinence. 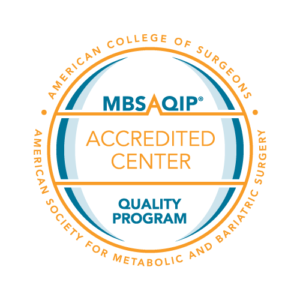 The American College of Surgeons (ACS) and the American Society for Metabolic and Bariatric Surgery (ASMBS) combined their respective national bariatric surgery accreditation programs into a single unified program to achieve one national accreditation standard for bariatric surgery centers, the Metabolic and Bariatric Surgery Accreditation and Quality Improvement Program (MBSAQIP). United Regional’s Bariatric Surgery Center received this accreditation in 2014 and was re-accredited in 2017. Accredited Centers participate in a rigorous evaluation process that documents the comprehensiveness of the program and meets established program requirements for providing safe bariatric surgical care with excellent short- and long-term outcomes. The evaluation not only documents process, i.e., equipment, supplies, training of surgeons and staff and the availability of consultant services, but emphasizes results. In 2018 United Regional received the the Pathway to Excellence® re-designation by the American Nurses Credentialing Center (ANCC). We achieved the first designation in 2011 and the second in 2014. The Pathway to Excellence designation confirms the professional satisfaction of nurses at United Regional and identifies it as one of the best places to work. To earn the Pathway to Excellence distinction, we underwent a thorough review process that documented the quality initiatives used in creating a positive work environment — as defined by nurses and supported by research. Our nurses verified that the criteria were met by participating in a confidential online survey. In November 2017, United Regional earned The Joint Commission’s Gold Seal of Approval® for Advanced Certification for Total Hip and Total Knee Replacement. The advanced certification is for Joint Commission-accredited hospitals, critical access hospitals and ambulatory surgery centers seeking to elevate the quality, consistency and safety of their services and patient care. Joint Commission experts evaluated compliance with advanced disease-specific care standards and total hip and total knee replacement requirements, including orthopedic consultation, and pre-operative, intraoperative and post-surgical orthopedic surgeon follow-up care. United Regional Health Care System has been designated as a Level II Neonatal Facility (Special Care Nursery) in Perinatal Care Region-C from the Texas Department of State Health Services. This three-year state designation proves United Regional’s commitment to ensuring quality care for our neonatal patients. Level II Special Care Nurseries, like United Regional, provide care to mothers and their infants born at an early gestational age and at a very low birth weight, though are not anticipated to require subspecialty services on an urgent basis. United Regional may now also care for infants from 30-32 weeks that do not require NICU (Level III) hospitalization. This designation also recognizes the skilled personnel who have documented training, competencies and specific annual continuing education.